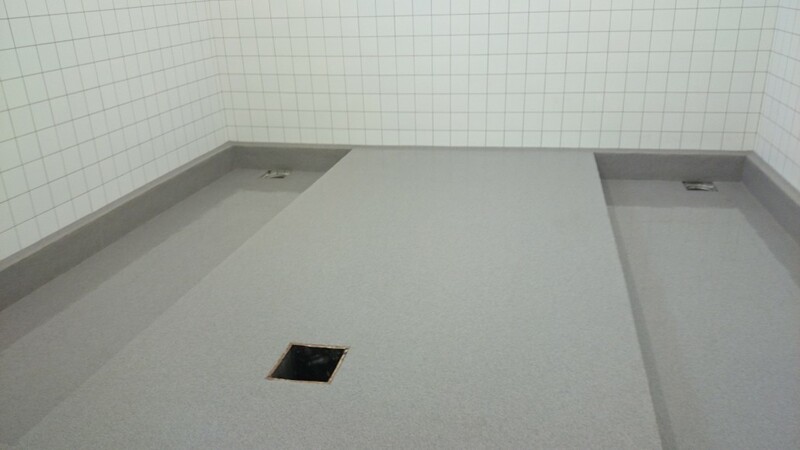 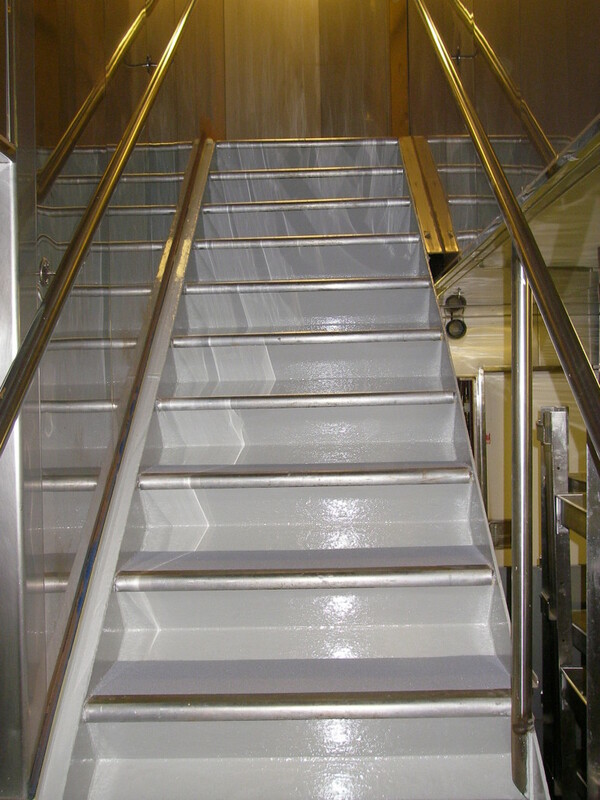 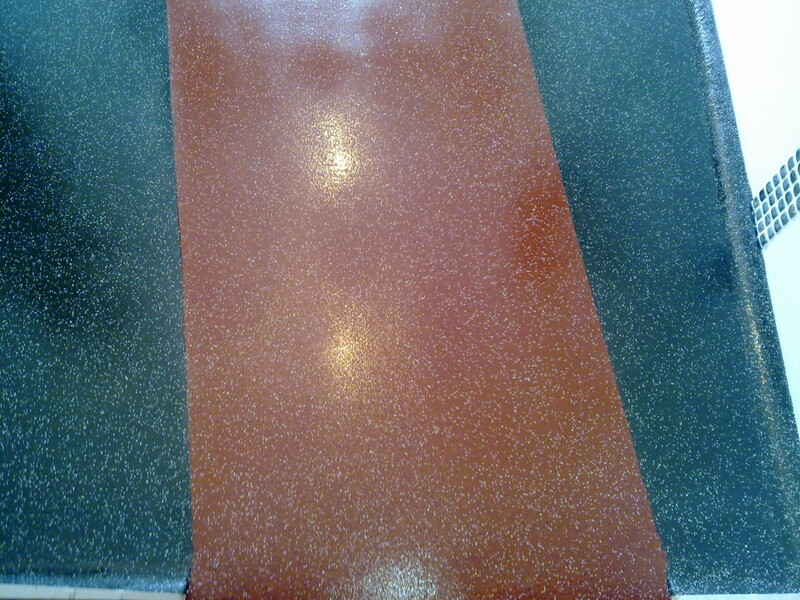 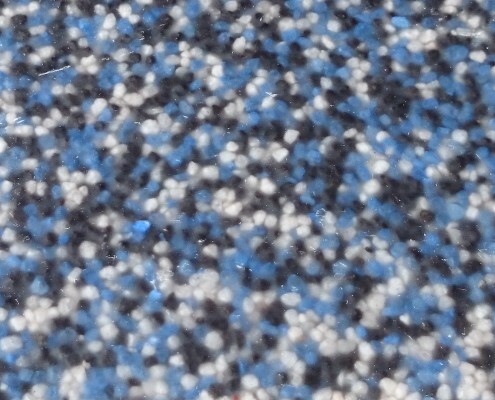 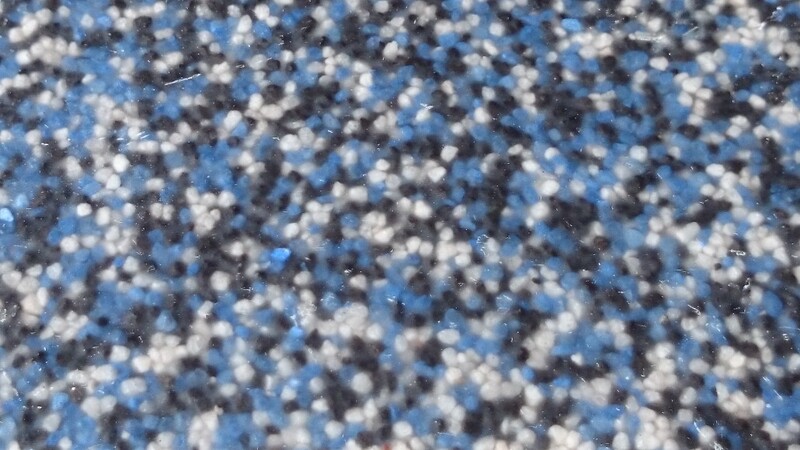 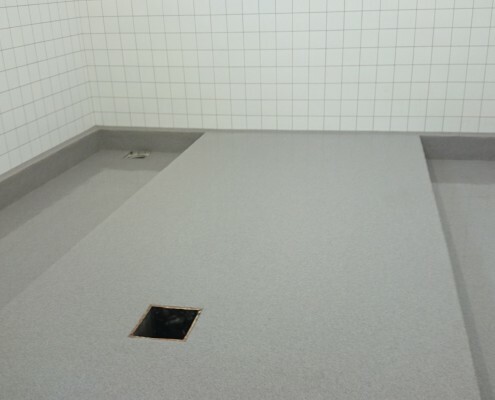 The product consists of transparent epoxy varnish and sand. 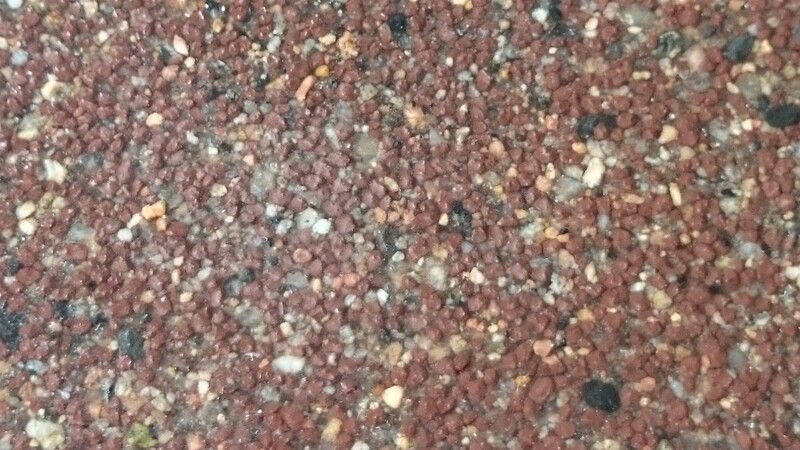 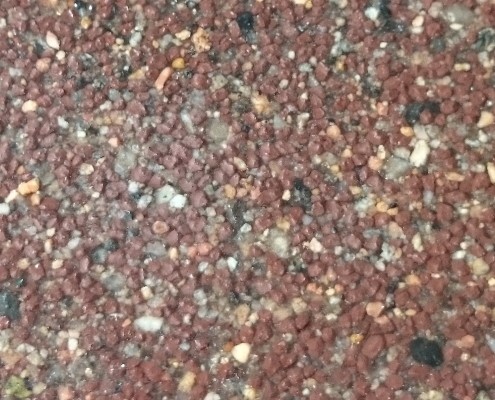 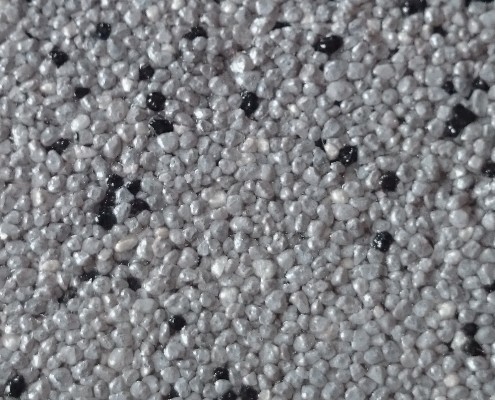 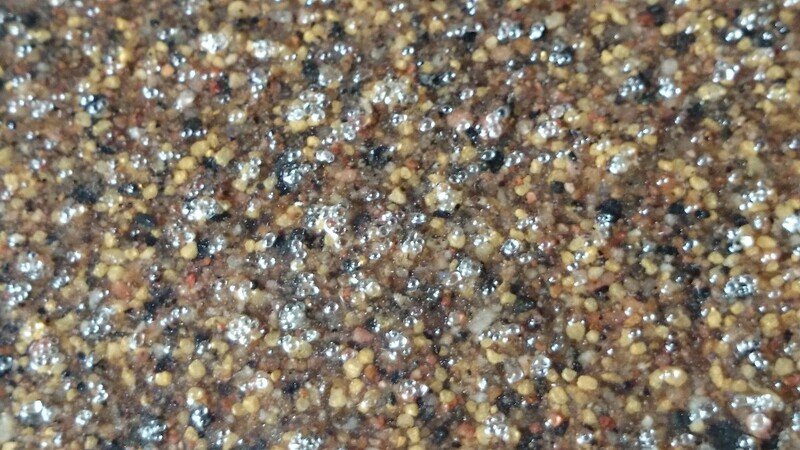 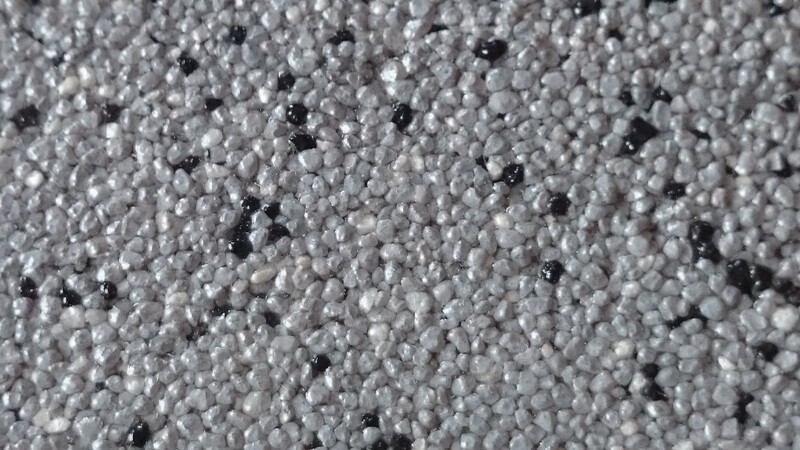 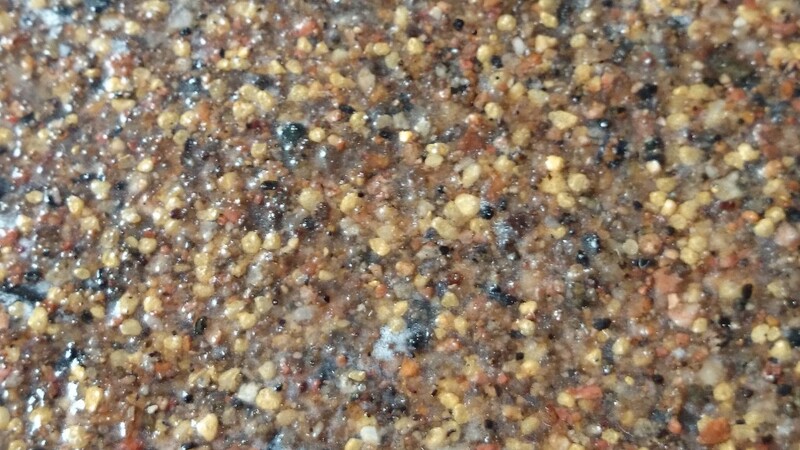 Product is available in many colours as sand of different hue can be mixed and combined to end up with a suitable result. 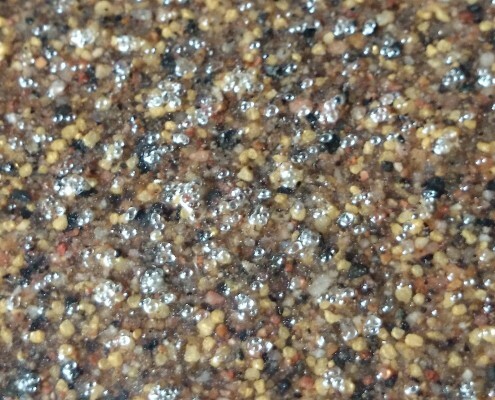 Epoxy sand mortars are resistant to abrasion and can take heavy loads (for example, traffic by lifting devices and chemicals). 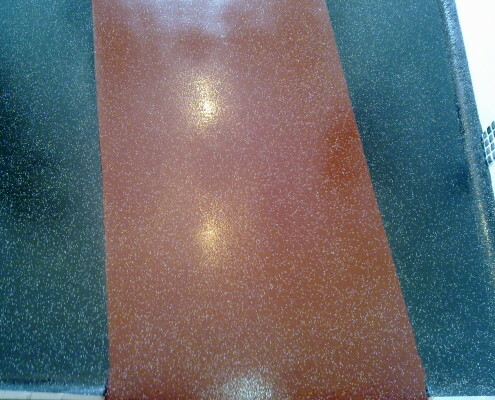 It usually takes 3-4 days to apply the coating. 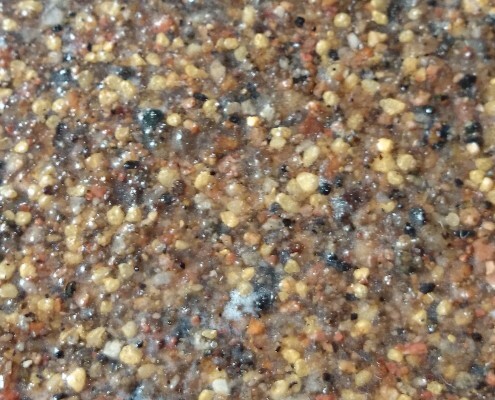 Can be roughened, as appropriate, and use the sand mortar to build an epoxy wall skirt. 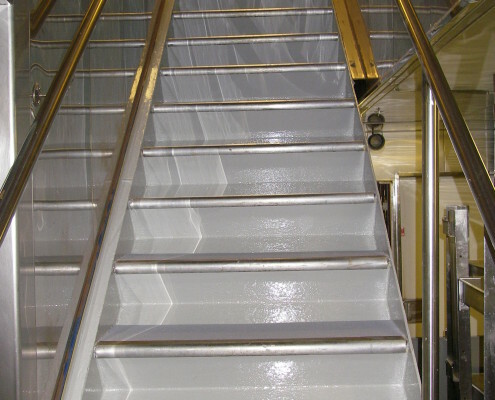 The coating is used in food industry, repair shops, kitchens, garages, warehouses and production premises, saunas, on stairways etc.